Provides endless beauty and health benefits! Developed by Nasa and FDA approved, Red Light Therapy has been proven to reduce the appearance of fine lines, wrinkles, stretch marks and scars! It has also been proven to provide relief from arthritis, chronic and acute pain! Also decreases injury healing time. Recommended Therapy Schedule: 3-4 days per week, for 4-6 weeks until desired results are received (results vary). After initial treatment: 1-2 days per week to maintain results gained (ex-acne and rosacea clients use this bed to control their condition). Clients with Scars, stretch marks, fine lines, wrinkles, etc. use this bed to reduce the appearance permanently. 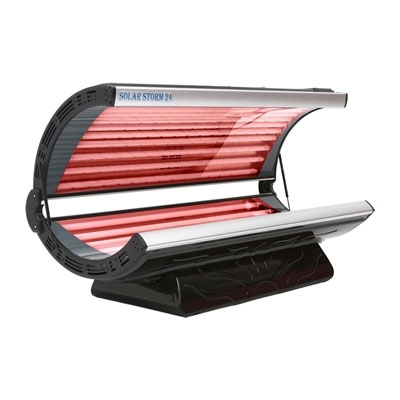 Our Red Light Therapy bed is included in our Silver, Gold, And Platinum Studio Club Memberships.